Most churches today teach the Futurist interpretation of the book of Revelation. For most the only question about eschatology that exists is whether you think the ‘rapture’ is “Pre,” Mid,” or “Post-Tribulation.” Most Christians don’t even realize other interpretations exist, but there are actually 5 different approaches to interpreting the book of Revelation, (maybe you knew that, I didn’t until recently.) The following is excerpted from an article on ligioner.org. In the history of the church, five predominant approaches have emerged: the futurist, the preterist, the historicist, the idealist, and the eclectic approach. While these approaches are not necessarily incompatible at every point, they represent distinct views of the message and themes of Revelation. Familiarity with these approaches, though no substitute for a direct reading and interpretation of Revelation, does provide a helpful map of the well-traveled paths that previous interpreters have found illuminating. In my consideration of these five main approaches, I will first define the primary features of each approach. In order to put flesh on the skeleton of each approach, I will then illustrate with examples the way each approach handles certain key visions in the book of Revelation. The futurist approach to the book of Revelation regards the visions of chapters 4–22 as referring to events that lie in the future, events that will occur immediately prior to Christ’s second coming and the end of history. Many, though not all, futurists are premillennialists and dispensationalists. For dispensational futurists, most of the events in the visions of Revelation will occur during a future period of tribulation subsequent to the rapture and removal of the church from the earth, during which God’s program for national Israel will resume. For example, many dispensationalists believe the vision of Satan’s defeat in Revelation 12 does not describe the inauguration of Christ’s kingdom at His first coming but Satan’s defeat at the midpoint of a future seven-year period of tribulation after the church is raptured. The strength of futurism is its recognition that the book of Revelation teaches continued, and even increased, suffering for the people of God before the end of history. Futurism also properly emphasizes that the ultimate triumph of Christ and His people will occur only at the second coming of Christ. The weakness of the futurist approach is that it views the bulk of the book of Revelation as describing events in a distant future. Consequently, much of the book had little direct relevance for those persecuted believers to whom the book was originally addressed. Preterism, as its name implies (deriving from a Latin root for “past”), takes the opposite tack of futurism. In this approach, the book of Revelation primarily refers to events that occurred in the past, either in the period prior to the destruction of the Jerusalem temple in AD 70 or in the early Christian centuries leading up to the destruction of the Roman Empire in the fifth century AD. For preterists, the language of Revelation 1:1 (“the things that must soon take place”) establishes a time frame for the entire book. The revelation of Jesus Christ, which John the Apostle was given on the isle of Patmos, is a disclosure of events that were imminent at the time of the book’s writing and that now lie in the past. Just as the seven letters to the churches of Asia Minor were addressed to actual churches in the first century, so the remainder of the book spoke to the members of these churches of events and circumstances that would soon occur. Only in chapters 21–22, in the vision of the new heaven and earth, do we find a prophecy of events still lying in the future. An obvious strength of preterism is its recognition that Revelation does speak of events that “must soon take place,” not events in a distant future, far removed from the circumstance of the early church. Preterism properly focuses on the relevance of the book’s teaching to its first recipients, the church of the first century. 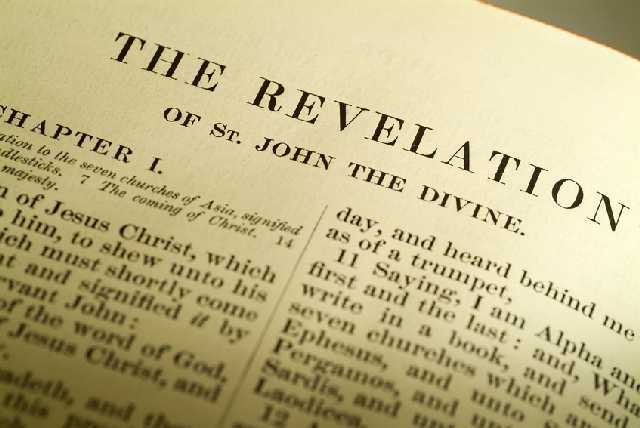 The problem with a consistently preterist reading of Revelation, however, is that the book becomes largely irrelevant to the present struggles of the church or its expectation for the future fulfillment of God’s promises. The historicist approach reads the book of Revelation as a visionary symbolization of the sequence of events that will occur throughout the course of the history of the church, from Christ’s first coming until His second coming at the end of the present age. Historicist interpreters of the book typically read its visions as a presentation in chronological order of the most significant developments in the history of redemption, from the time of its writing until the second coming, the millennium, the last judgment, and the final state. These visions correspond to actual events, institutions, or people that play an important role in the historical accomplishment of God’s redemptive purposes. A wellknown illustration of an historicist reading of the book of Revelation is the Reformation identification of the harlot Babylon in Revelation 17 with the Roman Catholic Church and the papacy. A less well-known historicist interpretation is the medieval church’s identification of the Beast from the sea in Revelation 13 with the rise of Islam. The strength of historicism lies in its recognition that the visions of Revelation do refer to events that were occurring at the time of its original writing and throughout the history of the church until Christ’s second coming. A weakness of historicism lies in its assumption that the visions of Revelation reflect a simple chronological sequence of events rather than presentations of the same events from different angles of vision. The idealist approach differs from the first three approaches in its reluctance to identify any particular historical events, institutions, or people with the visions of the book of Revelation. Sometimes called “iterism,” this approach views the visions of Revelation as a portrayal of the church’s struggle throughout the entire period between the first and second comings of Christ. Idealism acknowledges that the book of Revelation was originally written to encourage the early church in its struggles under religious and political persecution. But it also maintains that the letters to the seven churches and the visions of the book reflect circumstances that characterize the entire church age, from Christ’s first coming until His return at the end of the present age. Whereas futurists, preterists, and historicists identify the harlot Babylon in Revelation 17 with an endtime, first–century, or historical figure, respectively, idealists argue that Babylon symbolizes a variety of political and religious forms of opposition to the church and the gospel that recur throughout history. The eclectic approach interprets the book of Revelation in a way that aims to incorporate the strengths of each of the other main approaches. The eclectic approach acknowledges that there are elements of truth in all of the approaches identified thus far. Preterism rightly insists that the visions of Revelation reflect events and circumstances contemporaneous with its writing or the period immediately thereafter. But preterism fails to adequately account for the way Revelation also reveals events and circumstances that characterize the struggles of the church throughout the entire interadvental age. Futurism partially solves the problem of preterism by emphasizing the way the visions of Revelation portray events that will take place shortly before the end of history. But in doing so, futurism exaggerates the future orientation of the book. As for historicism, although the events portrayed in the visions of Revelation may have occurred in the past or may recur at various points in history, these events are not limited to a particular time in the past, present, or even future. The obvious strength of eclecticism is its ability to incorporate the primary emphases of the other approaches without the one-sidedness that often characterizes alternative views. The weakness of the approach may be its tendency to ascribe different meanings to the same vision. In doing so, the eclectic interpreter can make the vision mean almost anything. What then shall we say in light of the strengths and weaknesses of these five approaches? One answer is clear. While all of these approaches may help to discover the meaning of the book of Revelation, none of them absolves contemporary readers from the hard task of interpreting the book in an exegetically responsible manner.